A high energy activity suitable for all participants regardless of fitness level and expertise. Teams receive dry land instruction and initiative activities designed to build rapport amongst boat mates and skills. 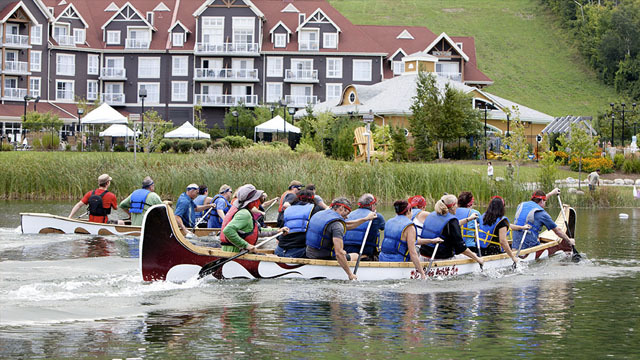 Teams also receive a practice run on the pond to develop technique and strategy in preparation of the head-to-head war canoe regatta. KEY LEARNINGS: Assessment of individual/group strengths, communication, strategy development, problem solving, coaching, managing and evaluation of performance.